1. Select desired fan speed. 3. Press the defrost button ( ). 4. The outside (fresh) air position will be selected automatically. 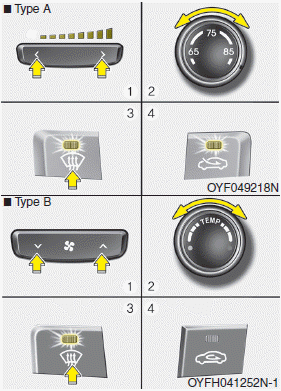 If the outside (fresh) air position is not selected automatically, adjust the corresponding button manually.